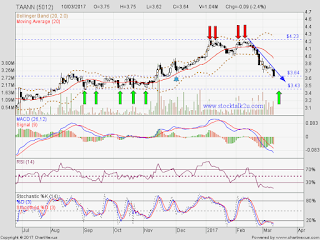 TAANN retest RM3.64 support level. Stochastic %K NO trigger BUY call yet. Immediate resistance @ downtrend line. Subsequent resistance @ RM3.84 level. 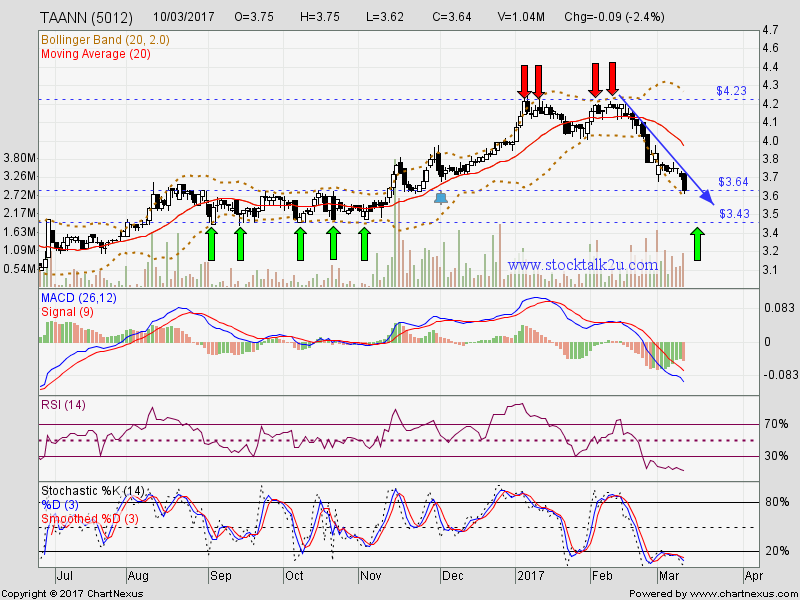 Immediate support @ RM3.64 level. Subsequent support @ RM3.43 level.